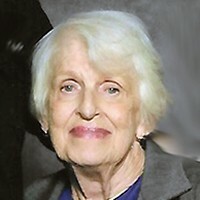 Stewart, Margaret M. (nee Kissel) "Shake it off but, Call me maybe" age 91. Grandma could one-up you on the latest top 40s. She adored wearing leopard head-to-toe, was described as vivacious and voluptuous. Resident for over 40 years of SW Mpls, at 41XX Xerxes Av S. She was a tribute to humanity, the Catholic faith and the human race. She gave everybody a "clean slate"... didn't matter what you did. A Veteran of WWII, mom served as a baby nurse in the Navy. In Pensacola, while in uniform, she was thrown off a city bus because she gave her seat to an elderly black woman. At 88, with her walker in a snowstorm, she was determined to find an ATM to loan a neighbor $20. Our Barbies always had hand made fur coats and the newest convertibles. While mom took her two favorite girls to dinner, Petula Clark's song, "Downtown" was playing. Full-blooded Slovakian, daughter to Michael Sylvester and Anna Kissel, mom transversed all humanity. She died unexpectedly February 8th in a place that was not her home, to be reunited with her husband, Wayne "Wade" who can now continue to call her "Doll" every day. She entered heaven in a pair of new Coach shoes. Survived by daughters, Kathleen Stewart and Mary Ann Prescott-Matsumoto; special grandson, Jack Prescott, caregiving grandson, Nick Morford, and grandson, Joseph Prescott; favorite and only granddaughter, Isabella; and great-granddaughter, Caroline Prescott. Memorial mass at the 9AM daily mass, Friday, Feb. 16, Our Lady of Grace, 5071 Eden Ave, Edina, MN. Family and friends, please join us after for breakfast at Perkins.